To celebrate International Earth Day this week, the American Institute of Architects (AIA) and its Committee on the Environment (COTE) selected their top 10 examples of sustainable architecture and ecological design projects that protect and enhance the environment. The program celebrates projects that are the result of a thoroughly integrated approach to architecture, natural systems and technology. They make a positive contribution to their communities, improve comfort for building occupants and reduce environmental impacts through strategies such as reuse of existing structures, connection to transit systems, low-impact and regenerative site development, energy and water conservation, use of sustainable or renewable construction materials, and design that improves indoor air quality. 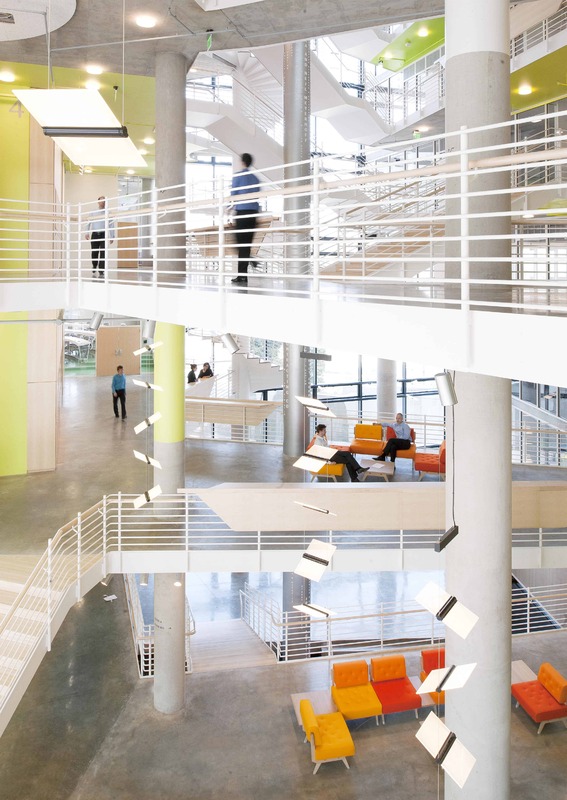 The Arizona State University (ASU) Health Services Building is an adaptive re-use project that transformed the existing sterile and inefficient clinic into a clearly organized, efficient, and welcoming facility. 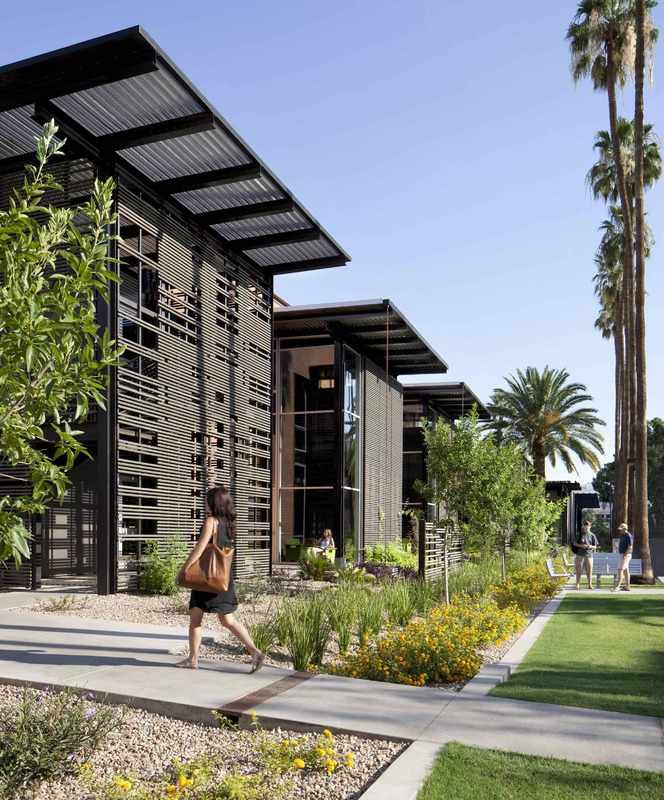 The design imbues the new facility with a sense of health and wellness that leverages Tempe’s natural environment and contributes to a more cohesive pedestrian-oriented campus. The facility achieved LEED Platinum certification and is one of the best energy performers on campus. 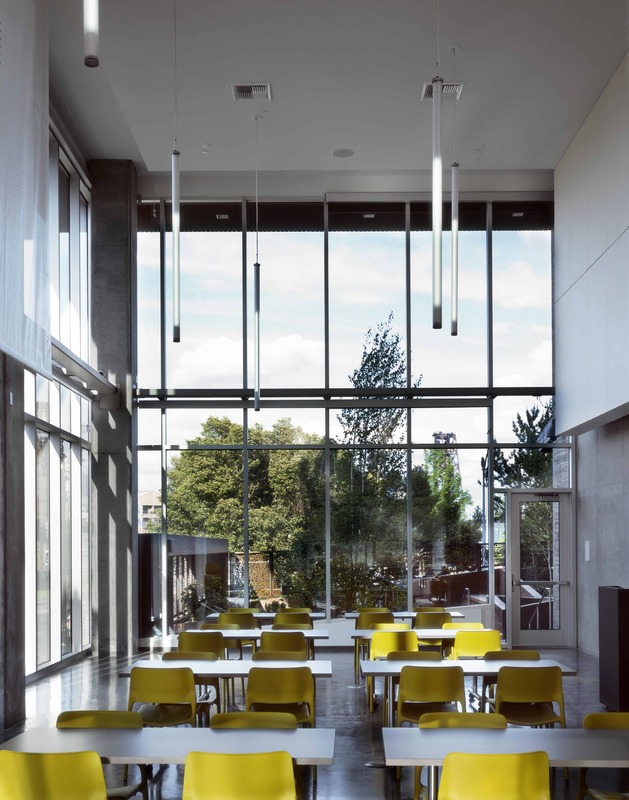 As a centrepiece of Portland’s 10-Year Plan to End Homelessness, this LEED Platinum project provides a continuum of services to help transition homeless individuals toward stable, permanent living arrangements. The architecture helps achieve this goal with a walk-in day centre with public courtyard and access to support services, a 90-bed temporary shelter, and a separate and secure entrance to 130 efficient, furnished studio apartments for homeless individuals seeking permanent housing. The building’s design aims to deinstitutionalize services and housing for the most vulnerable. Sustainable features include large-scale graywater recycling, zero stormwater runoff, solar hot water and a high-performance envelope, resulting in energy savings estimated at $60,000 annually. This project is the first phase of the transformation of the Greenpoint–Williamsburg waterfront from a decaying industrial strip to a multifaceted public park. The design team integrated a program of playfields, public meeting rooms, classrooms, and park maintenance facilities, into a city-block sized site. The park building becomes a green hill on the west side, making 100 per cent of the site usable to the public, and offering views to Manhattan. Below the green roof is a complex of building systems – ground source heat pump wells, rainwater harvest and storage and drip irrigation. A solar trellis produces half the total energy used in the building. On track to be one of the lowest energy-use buildings in the U.S., EGWW is a model for U.S. General Services Administration nationwide. 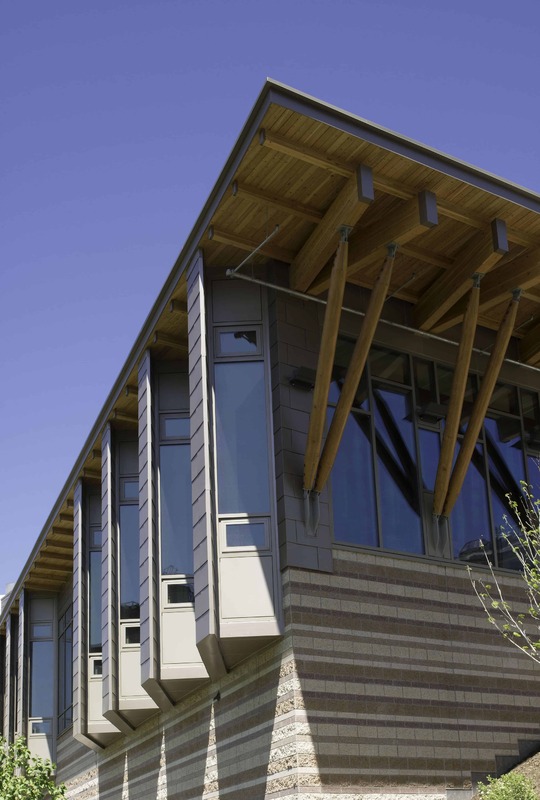 The project’s goal was to transform the existing building from an aging energy hog into one of the premiere environmentally-friendly buildings in the nation. With a unique facade of “reeds”, light shelf /sunshades designed by orientation and a roof canopy that supports a 180 kW photovoltaic array while collecting rainwater, EGWW pushes the boundaries for innovative sustainable deign strategies. 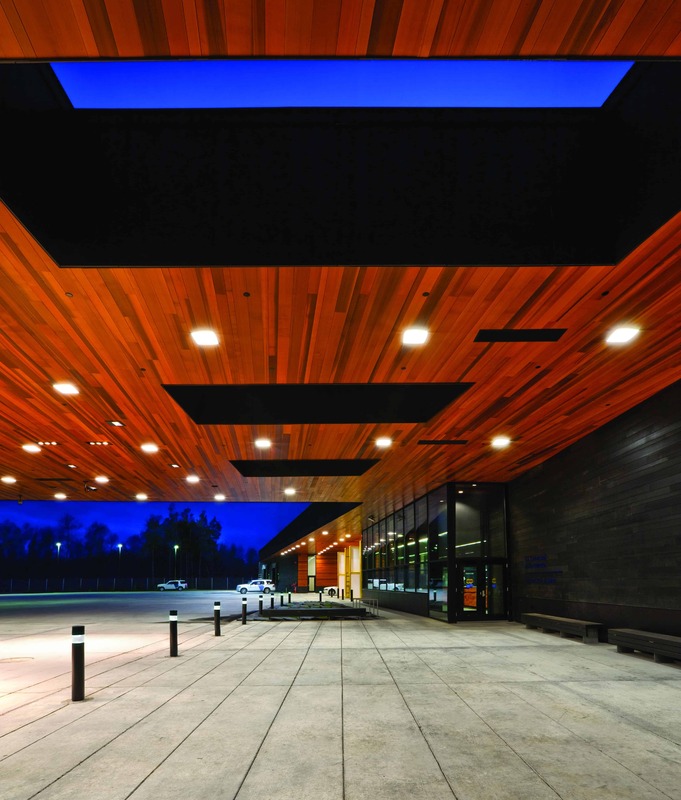 The SUNY-ESF College of Environmental Science & Forestry Gateway Center is a striking symbol of environmental stewardship and climate action leadership. This LEED Platinum campus centre meets ESF’s goal of reducing the overall carbon footprint of the campus through net positive renewable energy production, while creating a combined heat and power plant and intensive green roof that serve as hands-on teaching and research tools. The double-ended bioclimatic form exemplifies passive solar design. Net positive energy systems integrated with the design serve four adjacent ESF buildings, providing 60 per cent of annual campus heating needs and 20 per cent of annual power needs. The John and Frances Angelos Law Center is the first large-scale opportunity for the University of Baltimore to demonstrate its intent to pursue strategies that eliminate global warming emissions and achieve climate neutrality. With this in mind, the Law Center is a highly sustainable and innovative structure that strives to reduce reliance on energy and natural resources, minimizing its dependence on mechanical ventilation and the artificial lighting of interiors. Situated in the forest at the Summit Bechtel Reserve, this interactive, interpretive and gathering facility serves as a unique icon of scouting adventure, environmental stewardship and high performance building design. 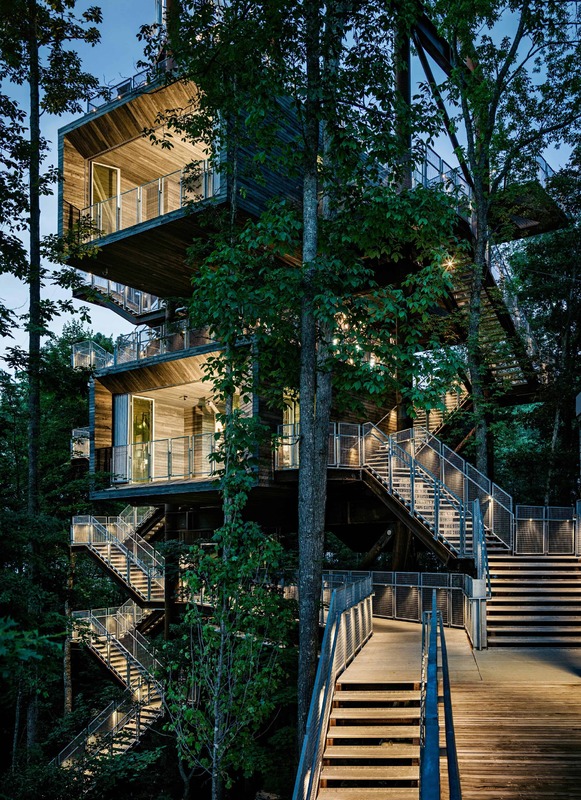 Visitors ascend indoor and outdoor platforms to experience the forest from multiple vantages and engage with educational exhibits that explore the site and ecosystem at the levels of ground, tree canopy and sky. Innovative green building systems — including a 6,450-watt photovoltaic array output, two 4,000-watt wind turbines, and a 1,000-gallon cistern and water cleansing system — combine to yield a net-zero energy and net-zero water facility. 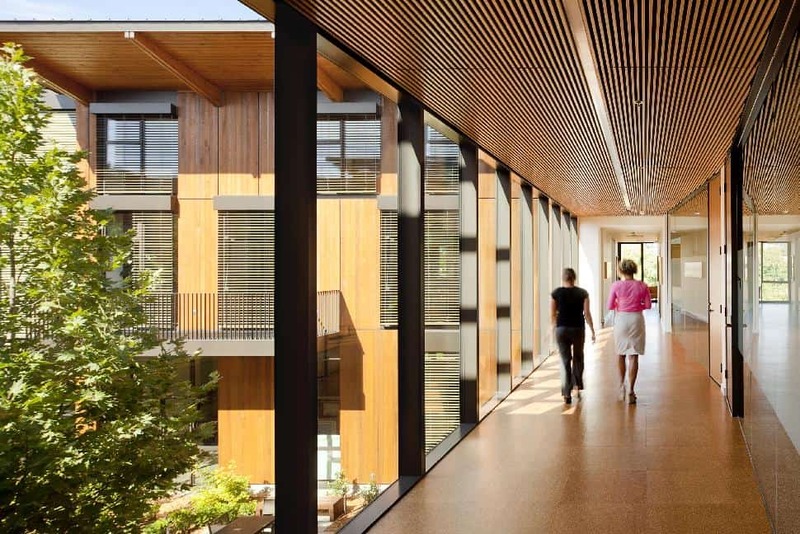 The David and Lucile Packard Foundation headquarters acts as a catalyst for broad organizational sustainability. For the last two decades, as its grant making programs expanded worldwide, staff and operations have been scattered in buildings throughout the city. This project enhances proximity while renewing the Foundation’s commitment to the local community by investing in a downtown project intended to last through the end of 21st century. This LEED Gold certified Land Port of Entry is the first to employ a ground source heat pump system. 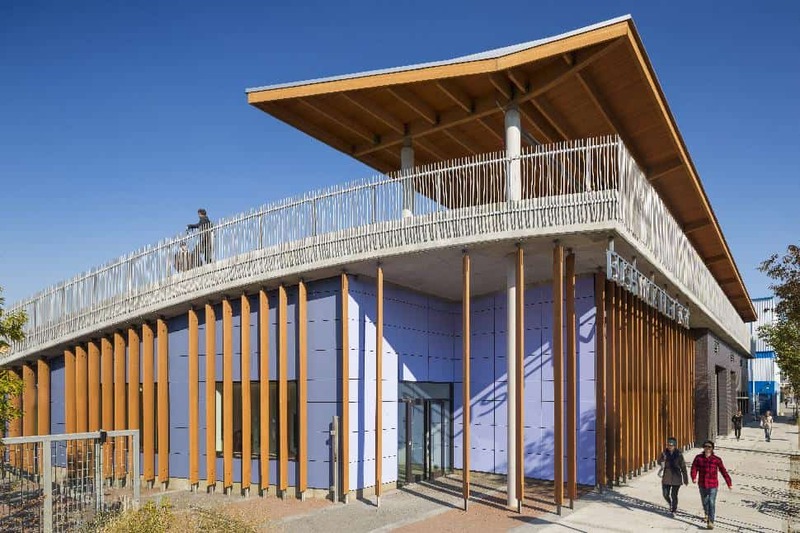 Sustainably harvested cedar was used on the entire exterior envelope, canopies and some interior walls and 98% per cent of all wood on the project is FSC certified. Additionally 22 per cent of the material content came from recycled materials and 91 per cent of all work areas have access to daylight. Rainwater collection, reconstructed wetlands and native plantings address resource and site-specific responses. This LEED Platinum renovation preserves an anchor in Grand Junction, and converts the 1918 landmark into one of the most energy efficient, sustainable historic buildings in the country. 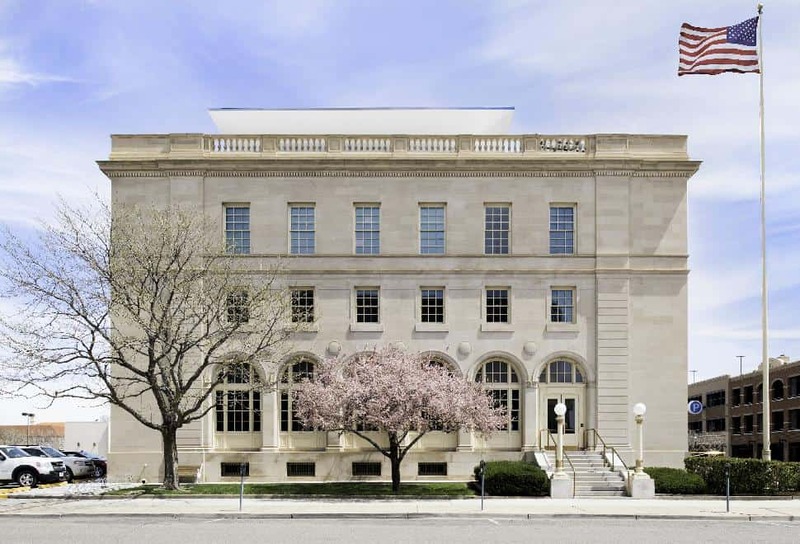 The design aims to be GSA’s first Site Net-Zero Energy facility on the National Register. 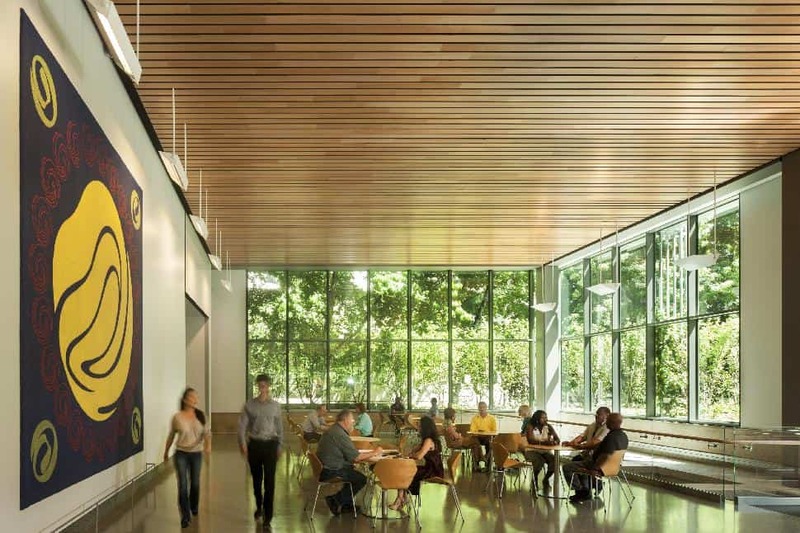 Exemplifying sustainable preservation, it restores and showcases historic volumes and finishes, while sensitively incorporating innovative systems and drastically reducing energy consumption. Features include a roof canopy-mounted 123 kW photovoltaic array, variable-refrigerant flow heating and cooling systems, 32-well passive Geo-Exchange system, a thermally upgraded enclosure, energy recovery, wireless controls, fluorescent and LED lighting and post-occupancy monitoring.